The Global Street Party on 16 May 1998 was one of the first internationally coordinated manifestations of the counter-globalisation movement. With people dancing, marching and cavorting through streets around the world, it provided an early indication that something new was happening in politics. This feeling would be irrevocably confirmed a bit over a year later during the riots and demonstrations in Seattle, when the colourful street party turned serious and shut down the World Trade Organization meeting, effectively scuttling that round of trade negotiations. The call-out on the Toronto police radios indicates the sense of shock and concern that accompanied the emergence of this new movement. What exactly was it: a demonstration? a party? art? Of course it was all of these things combined, and it was this very ambiguity that was to be such a source of strength for contemporary culture and politics at the turn of the millennium. But if this discussion reaches back to the world of the avant-garde of the beginning of the twentieth century, it also takes a new form at the end of that century with the emergence of the counter-globalisation movement. This made the new possible again while simultaneously questioning the importance of the new as conceived by earlier generations of artists and activists. In the late 1990s revolution was back, but the more linear traditions of the avant-garde were reinvented in more embodied, horizontal and transversal ways. While some affinity groups focused on more traditional activities such as blockades or sit-ins, many used demonstrations as a platform for creative experimentation in forms of protest. The sum total of these experimentations could be regarded as ‘constructed situations’ that disrupted the spectacular operations of capital. The Situationists’ idea of constructed situations drew heavily on Henri Lefebvre’s notion of the Moment, which he saw as a gesture or action that breaks with the continuum of everyday life by providing a critique of the totality of moments that constitute this continuum.3 According to Lefebvre, these moments were destined to be lost but, in their moment of risk and anticipatory fantasy, they reconfigured the possible (‘Another World Is Possible’). Seattle was the most serious anti-capitalist demonstration in a developed country since the collapse of the Berlin Wall and was thus the first chance for the Left to build a movement beyond the influence of Stalinism and the totalitarian ethos it had bequeathed. In many ways, the counter-globalisation movement was as much a demonstration against the organising tactics and strategies of Stalinism and the Old Left as it was against neoliberalism and the New Right. The organisers of the counter-globalisation demonstrations wanted the experience of protest to be different from the previous culture of revolutionary struggle. Those who came were to be regarded as central to the decision-making processes of the demonstration itself. No longer a passive audience to applaud the edicts handed down from the podium, participants were encouraged to make their own decisions about what they wanted to happen – or, indeed, to set up alternative, mutually supportive demonstrations in an activist ethos of ‘tactical diversity’. Concurrent with this shift was a growing interest in the ideas of the Russian philosopher and literary theorist Mikhail Bakhtin. Expósito’s film is structured around a series of quotes from Bakhtin’s Rabelais and His World. Bakhtin saw the carnival as a popular expression of subversion or a ‘world turned inside out’7 in which people could make fun of the systems of power that structured their everyday existence. This freedom allowed them to parody ‘normal life’ – not just in an imaginary way but also in an embodied way that celebrated abundance and lived out feelings of pleasure in a temporary space without hierarchies. Using an intimate, close-cropping technique that focused solely on the eyes and mouth of the speaker, Expósito’s film presents activists discussing the link between previously disassociated experiences of party/carnival and political protest. Moving beyond the countercultural idea that alternative lifestyles could be a utopian escape from the drudgery of capitalism, the Global Street Party activists sought to transform alternative culture itself into a form of confrontation. The carnival would stop the levers of capitalism from working and simultaneously ‘embody’ the new and imagined reality. The exhibition projects were complemented by publications and discussions such as Gerald Raunig’s Art and Revolution (2008); the Verso Cultural Resistance Reader (2002); the Documenta 12 Magazine Project (2007); Empires, Ruins + Networks (edited by Scott McQuire and Nikos Papastergiadis); MUP’s Art and Social Change: A Critical Reader (2005); the Monday night critical discussion program by 16beaver in New York; Russia’s Chto Delat? newspaper; the Sarai Media Collective in India to again name just a few. In addition, a range of art projects overlapped directly with community organising and activism outside of the gallery framework, such as SquatSpace’s Tour of Beauty (Sydney); Chto Delat’s project Drift (St Petersburg); Contra Filé’s Program for the Deturnstilisation of Life Itself (Sao Paulo); Taring Padi’s banner works (Indonesia); Oliver Ressler’s documentaries of the movement in Genoa and Venezuela; Dmitry Vilensky’s participation in the European Social Forums; Shilpa Gupta’s exhibitions to coincide with the World Social Forum (India); Grupo Etcetera’s Errorist International protests during George Bush’s visit to La Plata (Argentina); and so on. If, as the Toronto police pointed out, political demonstrations were now looking like ‘artistic expressions’, artistic expressions were also beginning to look like political demonstrations. Activist art came out of a moment of overlap between the spheres of revolutionary activism and art, generating new possibilities within both. Today the counter-globalisation movement has entered its own period of saturation, with the joy and excitement of early counter-summit protests replaced by more ritualised confrontations with the heavily fortified apparatus of the state, or even indifference: to use Jacques Rancière’s terms, the moment of ‘dissensus’ has passed into the ‘politics as usual’ of police lines and road-blocks. Thus recent discussions on the counter-globalisation movement have focused on its limitations: the impact of September 11, the increasing spectacle of counter-summit protests, the ritualising of violence between police and protesters, the economic crash and the re-assertion of state-driven economics, the death of utopian visions of globalisation. But if the movement feels ‘played out’ in a political sense, its cultural impact retains much of its vitality. While even just a few years ago, artists were making works specifically with activists from the counter-globalisation movement – projects such as Expósito’s film – today the ‘moment’ has diffused within art more broadly. Artists are working within the subjective space opened up by that wave of activism but in ways that have transmuted from that ‘event’ into other areas and concerns. The counter-globalisation movement may have set out to culturise politics but along the way it has also politicised culture. The process of globalisation has facilitated a rapid expansion and diversification of the impulse towards networking, collaboration and collectivism contained within earlier avant-garde art movements: thus mail art becomes the email list, détournment becomes sampling, the readymade becomes plagiarism, plagiarism becomes copyleft, the dérive becomes Google Earth, the collage becomes the mash-up, appropriation becomes the fanzine and so on. Rather then emaciating the avant-garde impulses of earlier art movements (as gloomy postmodernists prophesised), the globalised information age has expanded the capacity of artists and art movements to experiment with networked practices in which social relationships and political action become a form of art. ‘Relational aesthetics’, as propounded by Nicolas Bourriaud in the late 1990s, only touched the tip of this particular iceberg. Naomi Klein, No Logo, Flamingo, London, 2001, p. 312. Theodore Adorno, Aesthetic Theory, Continuum, London, 1997, p. 427. John Roberts, Philosophizing the Everyday: Revolutionary Praxis and the Fate of Cultural Theory, Pluto Press, London, 2006, p. 80. Diana George and Nic Veroli, ‘Interview with Alain Badiou’, 30 October 2006, . 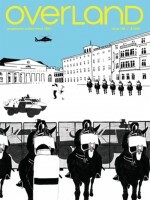 Marcelo Expósito, Radical Imagination (Carnival of Resistance), 2004, DVD, 60 min., exhibited at ‘Self Education – Self Organisation’, National Centre for Contemporary Art, Moscow, September 2006. Notes from Nowhere, We Are Everywhere: The Irresistible Rise of Global Anticapitalism, Verso, London, 2003, p. 176. Mikhail Bakhtin, ‘Rabelais and His World’ (trans. Helene Iswolsky) in Stephen Duncombe (ed. ), Cultural Resistance Reader, Verso, London, 2002, p. 88. Dmitry Vilensky, ‘On the Question of the Political Exhibition’ in Keg de Souza and Zanny Begg (eds), If You See Something, Say Something, Break Out, Sydney, 2007. Zanny Begg is a Sydney-based artist and is currently the director of Tin Sheds Gallery, University of Sydney (www.zannybegg.com).